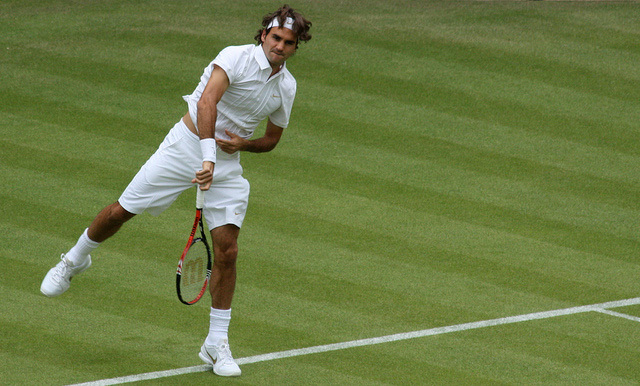 Welcome to our latest feature; ‘Know Your Athlete.’ Once a month, we’ll be sharing ten weird and wonderful facts about a different sporting icon, and what with Wimbledon having now officially kicked off, who better to start with than Swiss legend, Roger Federer! Born on the 8th August 1981, Roger Federer turned ‘professional’ in 1998, and has continued to break records ever since. 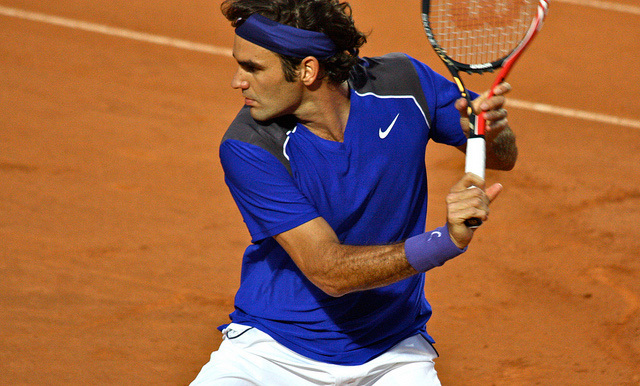 Currently ranked world no.2 by the ATP (Association of Tennis Professionals), sandwiched between his rivals, Novak Djokovic and Andy Murray, Federer has stated that he’s in better shape than he has been in recent years, and has his eyes set firmly on this year’s Wimbledon title, which would be his eighth tournament win. Whether he manages it or not remains to be seen, but in the meantime, get to know Fedders that little bit better with these 10 amazing facts! 1) He holds both Swiss and South African citizenship. 2) He speaks Swiss German, Standard German, English and French....fluently! 3) In 2009, Federer and his wife, Mirka Vavrinec, had a set of identical twin daughters, followed in 2014 by another set of twins, this time both boys. Federer’s only sibling, his sister Diana, also has a set of twins. 4) His first serve is typically around the 200 km/h (125 mph) mark, however, as if only luring his opponents into a false sense of security, he is in fact capable of serving at 220 km/h (137 mph). 5) Federer has more grand slam titles than any other men's singles player. This being 17. He is also the first ever men's singles player to have reached 10 consecutive grand slam finals and a total of 25 grand slam finals. 6) After winning his first-ever Wimbledon title in 2003, he was gifted a milking cow, which he named ‘Juliette.’ In 2013, the Swiss Open thanked Federer for his late entry into their tournament, with yes, another milking cow. This one was called Desiree. 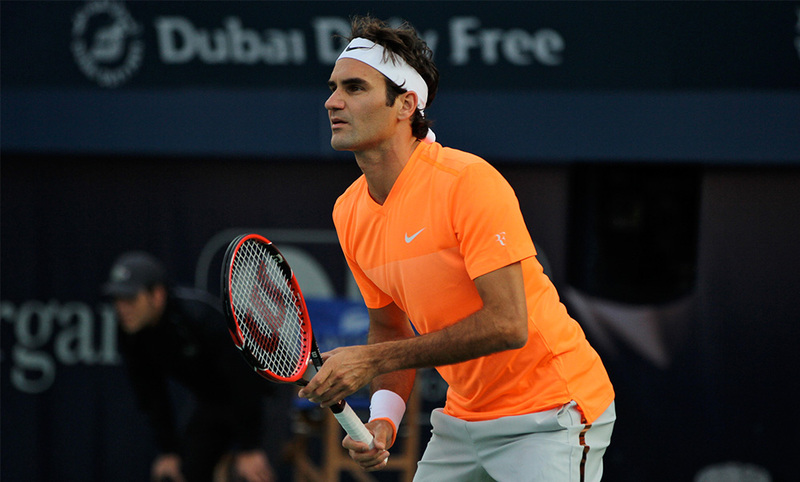 7) Federer’s ranking records: most weeks at no. 1 (302), most consecutive weeks at no.1 (237), most weeks in the top two (455) and most consecutive weeks in the top two (346). 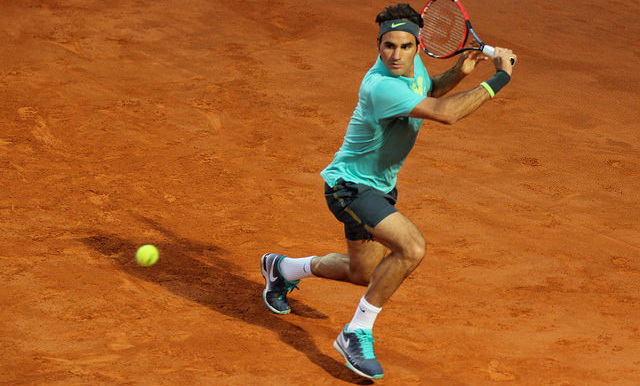 8) Federer has won 25% of the tournaments he’s entered during his career. 9) He is currently ranked fifth on the Forbes World's Highest Paid Athletes list, approximately netting (excuse the pun) a cool 35 million/year from various tournament prizes, and endorsements from the likes of Nike, Rolex, Gillette, Moët & Chandon, and of course, the Swiss chocolate company, Lindt (who could possibly forget those adverts...?). 10) He’s famous for his unrivalled versatility across courts, as summarised by veteran tennis player, Jimmy Connors; ‘In an era of specialists, you're either a clay court specialist, a grass court specialist, or a hard court specialist...or you're Roger Federer." Know any other great facts about the Fed, or want to suggest an athlete for next month’s feature? Then drop us a line in the comment box below, and if you want to ooze a similar level of sophistication on court, then check out the Be An Athlete Premium Polo Shirts! I have been a huge fan of Roger Federer; since from the beginning of watching tennis I used to watch Roger Federer; His playing techniques and timing is really fabulous; here from this article we can get an opportunity to know our favorite player very closely. We can get every bit of detailed information from here about this legendary player.